Welcome to Brandragon Morris! We are the North West Morris Side of Melbourne, Australia. We practise every Monday night in South Melbourne. 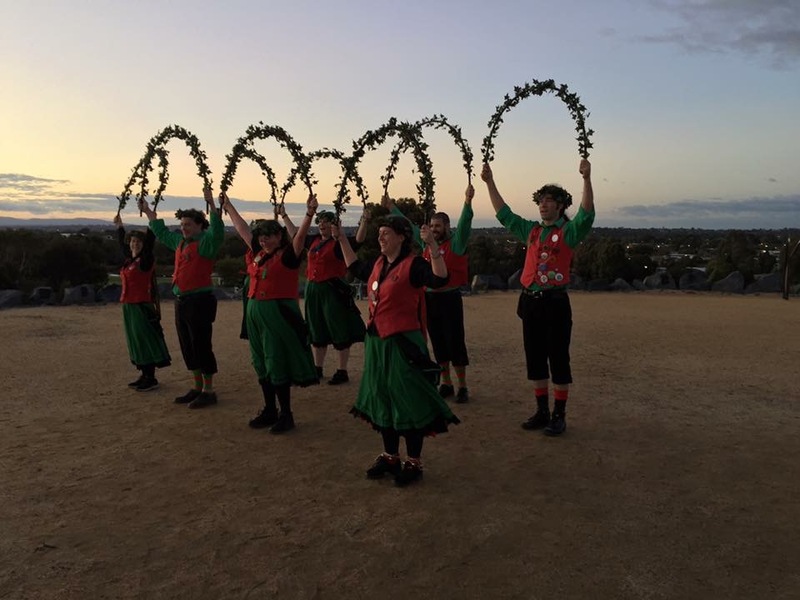 We are always looking for more members so if you would like to try Morris dancing, please come along any time! We dance out (i.e. perform) at least once a month. Some of our gigs include: the Lavandula Lavender Festival, the Kellybrook Cider Festival, the Melbourne Spring Fling, the Maldon Folk Festival, the National Folk Festival in Canberra, the Bacchus Marsh Cherry and Strawberry Festival, the Fitzroy Market, and the Geelong Waterfront Makers & Growers Market. We have also been hired to dance & teach workshops at schools, birthday parties and weddings. Please contact us for more information. We look forward to hearing from you!